Welcome to CHESS STORE AUSTRALIA! At The Chess Store Australia we retail Premium Quality Chess and Backgammon Sets, and offer our Customers the best value in the country. Our parent Company in 1997 was one of only a few on-line Companies in Australia to offer a SATISFACTION GUARANTEE of REPLACEMENT or YOUR MONEY BACK if you are dissatisfied. For more details please see our Returns/Exchange and Refunds Policy below. Being 100% online, with Bulk Buying Power, Designing & Dealing Directly with the Manufacturers combined with Low Overheads means more savings for you, hence we are able to offer our Lowest Price Guarantee. 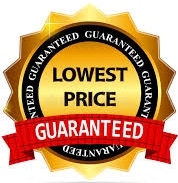 We Guarantee to always provide to our valuable customers the Lowest Prices, Best Service, Latest Products, Largest Range and are the premiere Company in Australia to offer a Quality & Satisfaction Guarantee or your money back. This is our commitment and forms part of our company charter of trading. If you are not totally satisfied with your purchase, simply contact us for a Returns Authority Number. The goods being returned must be unused and in their original packaging with a copy of your purchase receipt. This must be done within 7 days of delivery and we will be happy to either replace the item or provide you with a full refund of the purchase price less any shipping costs. Please note that we will only accept returns if the goods are returned in their original condition they must be unused and in a re-saleable condition. We reserve the right to reject any items that do not meet these conditions. Customer to organise return of goods, and return postal charges are at customer's expense. IMPORTANT if at time of delivery you observe that the external packing carton is damaged, please register your observations with the carrier immediately and obtain a reference number. Should you find that the product is damaged, please contact the carrier to register your claim, and they will then explain to you their Claim Process. Please also do keep us informed of the issue, as we may be able to assist expedite the claim process. Our finest and most beautiful Real Wood Master Crafted Chess Pieces have been brought together in our unique Luxury Collection Range. The collection includes the latest sets of unrivalled quality and design. For those insisting on the best, it is the only collection to consider. All sets in the collection are either new design releases, limited edition, extremely rare and highly collectable. We hand select only from the finest of graded woods for use in the manufacture of our Chess Sets. We work closely in the designs with our Master Carvers and have strict and rigorous quality control criteria that ensures only perfectly formed pieces end up in our Master Crafted Range of Chess Sets. Only "select sets" in The Chess Stores Luxury Collection range comes supplied with a Certificate of Authenticity which confirms it to be a genuine "The Chess Store" product and is signed by our Company director.